There were some pretty strange children’s movies when I was a kid. Jim Henson’s The Dark Crystal and Labyrinth, the so-bad-it’s-good Ron Howard movie Willow (featuring Real Genius and Top Gun star Val Kilmer), and the still-disturbing leporine epic Watership Down. But insofar as capturing the imagination of the archetypical misunderstood eight-year-old (imagine the eighties version of Harry Potter), nothing surpassed The Neverending Story, a child’s acid trip literary fantasy Mi’raj on the back of a Cocker Spaniel dragon, featuring a theme song by Kajagoogoo lead singer Limahl. Buried amidst this B-movie esoterica there is a point germane to your GRE preparation. 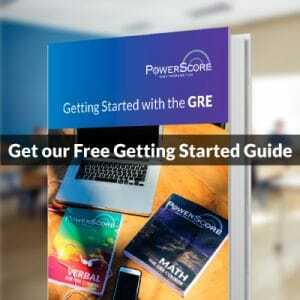 In my previous blog post, I discussed how to prepare to prepare for the GRE Quantitative Reasoning section. I emphasized the importance of a seamless grasp of math definitions and fundamentals as stepping-stones for success with more sophisticated test-taking strategies. With this blog post, let’s shift our attention to GRE Verbal, specifically the importance of a strong vocabulary. In another recent post, I discussed one strategy for what to do with sentence completion problems when you find yourself stumbling over vocabulary. The gist of it was that you’re never out of options; you can work your way through vocabulary difficulties with strong critical reasoning and strategy. Be that as it may, there is no substitute for strong vocabulary, not only for vocabulary-heavy questions like equivalence or completion problems but also for reading comprehension and even the Analytical Writing section. In fact, as a tutor I frequently confront the challenges of lexical lacunae for students preparing for all standardized tests. Difficulty with precise definitions can confound an LSAT student on a Logical Reasoning problem. It can interrupt a GMAT student mid-sentence correction problem. Unfortunately there is no ace-in-the-hole quick-fix for vocabulary. As you may have surmised from my Neverending Story reference, to build a strong vocabulary is indeed a lifelong journey, but just as I suggested grounding yourself in math fundamentals before you begin to prepare for GRE Quant, I can also make some suggestions for how to get yourself up to speed with vocabulary for GRE Verbal. Myth: Studying vocabulary is best accomplished by assembling a long list, rating words, and making flash cards. Reality: Learning words in isolation has some value. You might come across a couple of these fabled “SAT words” on the GRE, but especially since the shift away from analogies and antonyms, use of vocabulary on the GRE is much more context-specific: rote knowledge of definitions is very helpful but a familiarity with stylistic conventions of diction (word-choice) can help you knock your prephrases out of the park. Therefore, you need to focus on learning words in context, and not just the “hard” words, but even more common words that you may not grasp with precision. Myth: The GRE is full of arcane vocabulary that no one actually uses in real-life. How can I ever expect to learn a bunch of useless, arid jargon? Reality: While some of the vocabulary is what we might call vocab qua vocab, or questions that just test your ability to regurgitate dictionary definitions of esoteric words, many of the vocabulary issues I encounter have much more to do with slight misunderstanding of more common words. For instance, I was recently working with a student on an LSAT Reading Comprehension problem that asked about the tone of a particular passage. Answer choices comprised single words like “disheartened,” “disinterested,” and “discouraged.” None of these words registers as an “SAT word,” but without a firm grasp on the exact meaning of these words, even questions that have nothing to do with vocabulary per se can become exponentially more difficult because of vocabulary. Myth: It’s hopeless. I just keep reading more and more advice, but no one really knows what to do or how to help. Might as well pay lip-service to vocab but spend my time learning other test-taking strategies. Reality: There is a solution! You can improve your vocabulary, but you need to start now, preferably before your class or tutoring begins! Set aside thirty-minutes a day to read one of these articles. Get a spiral notebook or have a note-taking app handy. When you encounter a word the definition of which you’re not quite sure of, don’t stop reading! Instead, jot the word down in your notebook or app. When you’re finished reading, try to recap the main point or thesis of the article (helpful for Argument questions and Reading Comp, might as well kill two birds with one stone!). Now, for each word on your list, look up the definition. Wiktionary or Merriam-Webster are good definition sources. Write down the part of speech (adj., noun, etc.) and the first and second definition. After you’ve written the definitions for each word, find the word in the article and reread it in context to reinforce your understanding of its meaning. Now write your own sentence using this word. Finally, revisit and review these entries the next day before you read your next article. Between reading articles, use these words in your writing or conversation as appropriate. Vocab Journaling might seem old-fashioned or less glamorous than cool vocab quizlet apps or offbeat words-of-the-day, but it’s a rock solid foundation for building a broad, strong vocabulary. Sometimes it’s not the million-dollar national-spelling-bee-winning words that make the difference for your GRE success; instead it’s the fifty-cent words you might think you know but really don’t that make the difference. No amount of cramming or clickbait quizzes can build the foundation you need for complete confidence on GRE verbal. Use your journal as a foundation. Then feel free to work in the other, fun stuff to augment or reinforce the progress you make. While learning new vocabulary might be a Neverending Story, preparing for the GRE shouldn’t be. 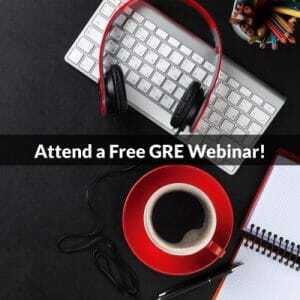 Get started with your Quant Reasoning fundamentals and Reading Comp/Vocab skills, but get registered for the GRE at a time when you project you will have had adequate time to prepare. Finally, get a plan together for preparing for the big day; whether it’s self-study or one of our tutoring or class options, the key to success is diligence, discipline, and enthusiasm. Thanks for reading and please leave questions and comments below or on our GRE Forums.